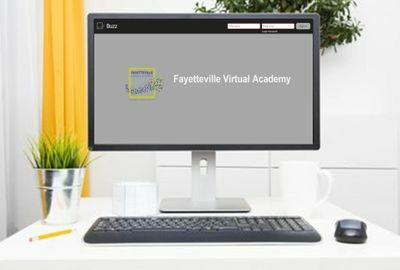 Students in the Fayetteville Public School District may enroll in virtual elective courses offered by Fayetteville Virtual Academy. Students may access some non-traditional electives, such as Sports & Entertainment Marketing, Social Media, and Guitar! Try the sample lessons by clicking on the course names below. When you land in the sample lesson, click "Menu" and select the lesson. From vampires to ghosts, these frightening stories have influenced fiction writers since the 18th century. This course will focus on the major themes found in Gothic literature and demonstrate how the core writing drivers produce, for the reader, a thrilling psychological environment. Terror versus horror, the influence of the supernatural, and descriptions of the difference between good and evil are just a few of the themes presented. By the time students have completed this course, they will have gained an understanding of and an appreciation for the complex nature of dark fiction. Mighty heroes. Angry gods and goddesses. Cunning animals. Since the first people gathered around fires, mythology and folklore has been used as a way to make sense of humankind and our world. Beginning with an overview of mythology and different kinds of folklore, students will journey with ancient heroes as they slay dragons and outwit gods, follow fearless warrior women into battle, and watch as clever monsters outwit those stronger than themselves. They will explore the universality and social significance of myths and folklore, and see how these are still used to shape society today. In this course students explore the organization of the human body and how it works. They will acquire knowledge necessary to understand what the body is doing and how they can help the body cope with many different situations. Body systems will be studied in order to understand how their structure, location, and function allow for interaction with other parts of the body. Why do stars twinkle? Is it possible to fall into a black hole? Will the sun ever stop shining? Since the first glimpse of the night sky, humans have been fascinated with the stars, planets, and universe that surrounds us. This course will introduce students to the study of astronomy, including its history and development, basic scientific laws of motion and gravity, the concepts of modern astronomy, and the methods used by astronomers to learn more about the universe. Additional topics include the solar system, the Milky Way and other galaxies, and the sun and stars. Using online tools, students will examine the life cycle of stars, the properties of planets, and the exploration of space. Be captivated by the wonders and beauty of the third planet from our Sun, Earth. Be amazed by what awaits your discovery within our solar system and beyond. Explore the universe. Earth/Space Science is a laboratory course focusing on the study of space, geologic structures and forces, the waters on our planet, and atmospheric conditions. Through experimentation and investigation, students explore the earth cycles including the geosphere, hydrosphere, crysosphere, atmosphere, and the carbon cycle. This course offers interactive experiences, higher-order thinking, collaborative projects, and real-world application along with a variety of assessments. Upon completion of the course, students have a clear understanding of the dynamic forces at work in the world around them, becoming better caretakers of our planet, Earth. Fingerprints. Blood spatter. DNA analysis. The world of law enforcement is increasingly making use of the techniques and knowledge from the sciences to better understand the crimes that are committed and to catch those individuals responsible for the crimes. Forensic science applies scientific knowledge to the criminal justice system. This course focuses on some of the techniques and practices used by forensic scientists during a crime scene investigation (CSI). Starting with how clues and data are recorded and preserved, the student will follow evidence trails until the CSI goes to trial, examining how various elements of the crime scene are analyzed and processed. Since the beginning of time, humans have relied on the ocean. But as our planet continues to change over time, human activity has impacted the environment. In the marine science course, students explore the watery depths of our own planet in order to understand just how vital the ocean is to our existence. Throughout the course, students meet marine animals and learn about their interactions with each other and their environment. Students tour the evolving seafloor, where they encounter trenches, volcanoes, and ridges. Along the way, students hang ten as they discover waves, currents, tides, and other physical interactions between the ocean and the land. Finally, students study the impacts of chemical processes on our blue planet and how they affect the water, the atmosphere, and our climate. With a focus on conservation, this course shows students that the ocean connects us all, across distance and even time. Hang on—it’s going to be an amazing journey. The aim of anthropology is to use a broad approach to gain an understanding of our past, present and future, and in addition address the problems humans face in biological, social and cultural life. This course will explore the evolution, similarity and diversity of humankind through time. It will look at how we have evolved from a biologically and culturally weak species to one that has the ability to cause catastrophic change. Exciting online video journeys to different areas of the anthropological world are just one of the powerful learning tools utilized in this course. Anthropology has helped us better understand cultures around the world and through different time period. This course continues the study of global cultures and the ways that humans have made sense of their world. We will examine some of the ways that cultures have understood and gave meaning to different stages of life and death. The course will also examine the creation of art within cultures and examine how cultures evolve and change over time. Finally, we will apply the concepts and insights learned from the study of anthropology to several cultures found in the world today. George Santayana once said, “Those who cannot remember the past are condemned to repeat it.” The field of archeology helps us to better understand the events and societies of the past that have helped to shape our modern world. This course focuses on this techniques, methods, and theories that guide the study of the past. Students will learn how archaeological research is conducted and interpreted, as well as how artifacts are located and preserved. Finally, students will learn about the relationship of material items to culture and what we can learn about past societies from these items. In today’s world, crime and deviant behavior rank at or near the top of many people’s concerns. In this course, we will study the field of Criminology – the study of crime. We will look at possible explanations for crime from the standpoint of psychological, biological and sociological perspectives, explore the categories and social consequences of crime, and investigate how the criminal justice system handles not only criminals, but also their misdeeds. Why do some individuals commit crimes why others do not? What aspects in our culture and society promote crime and deviance? Why are different punishments given for the same crime? What factors…from arrest to punishment…help shape the criminal case process? Holocaust education requires a comprehensive study of not only times, dates, and places, but also the motivation and ideology that allowed these events. In this course, students will study the history of anti-Semitism; the rise of the Nazi party; and the Holocaust, from its beginnings through liberation and the aftermath of the tragedy. The study of the Holocaust is a multi-disciplinary one, integrating world history, geography, American history, and civics. Through this in-depth, semester-long study of the Holocaust, high school students will gain an understanding of the ramifications of prejudice and indifference, the potential for government-supported terror, and they will get glimpses of kindness and humanity in the worst of times. Every society has laws that its citizens must follow. From traffic laws to regulations on how the government operates, laws help provide society with order and structure. Our lives are guided and regulated by our society’s legal expectations. Consumer laws help protect us from faulty goods; criminal laws help to protect society from individuals who harm others; and family law handles the arrangements and issues that arise in areas like divorce and child custody. This course focuses on the creation and application of laws in various areas of society. By understanding the workings of our court system, as well as how laws are actually carried out, we become more informed and responsible citizens in our communities and of our nation. This course will take you on an exciting adventure that covers more than 2,500 years of history! Along the way, you’ll run into some very strange characters. For example, you’ll read about a man who hung out on street corners, barefoot and dirty, pestering everyone he met with questions. You’ll learn about another eccentric who climbed inside a stove to think about whether he existed. Despite their odd behavior, these and other philosophers of the Western world are among the most brilliant and influential thinkers of all time. As you learn about these great thinkers, you’ll come to see how and where many of the most fundamental ideas of Western Civilization originated. You’ll also get a chance to ask yourself some of the same questions these great thinkers pondered. By the time you’ve “closed the book” on this course, you will better understand yourself and the world around you…from atoms to outer space…and everything in between. Understanding the thoughts, emotions and behaviors of self and others is critical to developing and maintaining interpersonal relationships. In Psychology I, students learn theories of historically significant psychologists who laid the foundation for scientific research and a clearer understanding of the human mind. This course explores how psychological perspectives influence personality and play a role in human development across the lifespan. Students examine how behaviors are developed, memories are stored and language is acquired. Students also learn about the symptoms and classifications of psychological disorders, along with the various forms of treatments available. After completing this course, students will be equipped with problem solving strategies and even learn methods to cope with stress. Practical, everyday application of the content is a focus of this course. As animals play an increasingly important role in our lives, scientists have sought to learn more about their health and well-being. Taking a look at the pets that live in our homes, on our farms, and in zoos and wildlife sanctuaries, this course will examine some of the common diseases and treatments for domestic animals. Toxins, parasites, and infectious diseases impact not only the animals around us, but at times…we humans as well! Through veterinary medicine and science, the prevention and treatment of diseases and health issues is studied and applied. In this course students will understand the political, cultural, and religious changes throughout history that are depicted within art. This course is an opportunity for students to reflect on how art was and is used as a vehicle to communicate, depict political and religious propaganda, and serve as evidence of cultural shifts and changes. Students will be challenged to contemplate the connection between art and context through reflective writing assessments and Discussion-Based Assessments. Students will build upon knowledge throughout the course and understand how art reflects and communicated cultural change and evolution. Students will develop critical skills of analysis, synthesis, and evaluation in this course by analyzing historical documents, working in a thematic context, developing proficiency in note-taking, free-response writing, and solving problems. Students will demonstrate their skills through participation in extended collaborative projects. Art History & Criticism 1 Honors is an honors-only course. All assessments in this course are honors level and students will earn honors credit only. Within AP Art History, students will explore the interconnections between culture, art, and historical context through the critical analysis of art, culture, and purpose. Through the use of a defined art historical skill set and reflective learning, students will analyze relationships across cultures with a global lens. The examination of how people have responded to and communicated their experiences through art will enable students to think conceptually about art ranging from prehistory to contemporary. Students will be active participants, engaging with art and its context as they read, research, and collaborate to learn about art, artists, art making, and responses to and interpretations of art. The AP Art History course is structured around three big ideas, three essential questions, twelve learning objectives, and ten content areas outlined within the College Board Advanced Placement Art History Framework. Each content area is represented by a prescribed image set accompanied by enduring understanding and essential knowledge statements that provide required contextual information to serve as a foundation and catalyst for student learning within the course. The intention is for students to explore art in its historic and cultural contexts. Who is the greatest artist of all time? Is it Leonardo daVinci? Claude Monet? Michelangelo? Pablo Picasso? Is the greatest artist of all time someone whose name has been lost to history? You will learn about some of the greatest artists while also creating art of your own, including digital art. We will explore the basic principles and elements of art, learn how to critique art, and examine some of the traditional art of the Americas, Africa, and Oceania in addition to the development of Western art. The high school Guitar I course is a two segment introduction to the basics of music and guitar. Students with little or no experience playing guitar will be guided by Carlos and Ariel as they learn to play guitar, music notation, musical styles, simple and full-strum chords, foundational music literacy and theory, and major scales. Prior music experience isn’t necessary, but a six-string guitar is. Grab your guitar and get ready to jam. Music is part of everyday lives and reflects the spirit of our human condition. To know and understand music, we distinguish and identify cultures on local and global levels. This course will provide students with an aesthetic and historical perspective of music, covering a variety of styles and developments from the Middle Ages through the Twentieth First Century. Students will acquire basic knowledge and listening skills, making future music experiences more informed and satisfying. Less than half of high school seniors qualify as financially literate, and more than 7 million borrowers are in default on student loans for college. Students are facing tremendous financial challenges without the basic knowledge needed to thrive in today's economy. Foundations in Personal Finance: High School Edition will change the financial future of your students and set them on a path to win with money, allowing you to change the way your students look at money forever. They will be empowered, equipped and entertained while building confidence in their own financial decision-making. Dive into an exciting course that will provide you with the foundational skills needed for exciting careers like game development, military defense, web design, and software engineering! You will explore Microsoft Office online applications, web design, emerging technologies, operating systems, project management, communication methods, Information Technology careers, and much more in this course. Learn about your strengths and how they relate to different career paths. From geography to culture Global Business is an exciting topic in the business community today. This course is designed to help students develop the appreciation, knowledge, skills, and abilities needed to live and work in a global marketplace. It takes a global view on business, investigating why and how companies go international and are more interconnected. This course will teach students that the world of Social Media revolves around them – their actions, decisions, and interests. They will examine how Social Media has evolved. They will understand how to find authenticity and truth within an online world where people can “be” anyone. They will also learn how their digital footprint makes a bigger impression than their physical one. Students will also discover that their voice is important. They are not only a reader – they are a writer. They don’t just follow the news – they report it as a citizen journalist. And they don’t just gather information – they crowdsource it. Have you ever wished to play sports professionally? Have you dreamed of one day becoming an agent for a celebrity entertainer? If you answered yes to either question, then believe it or not, you've been fantasizing about entering the exciting world of sports and entertainment marketing. Although this particular form of marketing bears some resemblance to traditional marketing, there are many differences as well—including a lot more glitz and glamour! In this course, you'll have the opportunity to explore basic marketing principles and delve deeper into the multi-billion dollar sports and entertainment marketing industry. You'll learn about how professional athletes, sports teams, and well known entertainers are marketed as commodities and how some of them become billionaires as a result. If you've ever wondered about how things work behind the scenes of a major sporting event such as the Super Bowl or even entertained the idea of playing a role in such an event, then this course will introduce you to the fundamentals of such a career. Have you ever wondered who decides where to put roads? Or makes sure that someone answers the phone when you call 911? Or determines that a new drug is safe for the public? These tasks and many more are part of public service, a field that focuses on building healthy societies. Public service includes many different types of careers, but they all have in common the goal of working for others. This course will explore some of the most common career paths in public service. Working for the public also comes with a very specific set of expectations since protecting society is such an important mission. So if you want to work for the greater good, there is probably a public service career for you! The AP Computer Science A course is an introductory computer science course. A large part of the course involves developing the skills to write programs or parts of programs that correctly solve specific problems. The course also emphasizes the design issues that make programs understandable, adaptable, and when appropriate, reusable. At the same time, the development of useful computer programs and classes is used as a context for introducing other important concepts in computer science, including the development and analysis of algorithms, the development and use of fundamental data structures, and the study of standard algorithms and typical applications. In addition an understanding of the basic hardware and software components of computer systems and the responsible use of these systems are integral parts of the course. Foundations of Programming will teach students the fundamentals of programming using the computer language Python. The course provides students with the concepts, techniques, and processes associated with computer programming and software development. Students will also explore the many programming career opportunities available in this high-demand field. Want to have an impact on the most important years of human development? Students will learn how to create fun and educational environments for children, how to keep the environment safe for children, and how to encourage the health and well-being of infants, toddlers, and school-aged children. Do you have a flair for fashion? Are you constantly redecorating your room? If so, the design industry might just be for you! In this course, you'll explore what it is like to work in the industry by exploring career possibilities and the background that you need to pursue them. Get ready to try your hand at designing as you learn the basics of color and design then test your skills through hands-on projects. In addition, you'll develop the essential communication skills that build success in any business. By the end of the course, you'll be well on your way to developing the portfolio you need to get your stylishly clad foot in the door of this exciting field. With greater disposable income and more opportunities for business travel, people are traversing the globe in growing numbers. As a result, hospitality and tourism is one of the fastest growing industries in the world. This course will introduce students to the hospitality and tourism industry, including hotel and restaurant management, cruise ships, spas, resorts, theme parks, and other areas. Student will learn about key hospitality issues, the development and management of tourist locations, event planning, marketing, and environmental issues related to leisure and travel. The course also examines some current and future trends in the field. How do our personal financial habits affect our financial future? How can we make smart decisions with our money in the areas of saving, spending, and investing? This course introduces students to basic financial habits such as setting financial goals, budgeting, and creating financial plans. Students will learn more about topics such as taxation, financial institutions, credit, and money management. The course also addresses how occupations and educational choices can influence personal financial planning, and how individuals can protect themselves from identity theft. What is the best way to care for children and teach them self-confidence and a sense of responsibility? Parenting involves more than having a child and providing food and shelter. Learn what to prepare for, what to expect, and what vital steps parents can take to create the best environment for their children. Parenting roles and responsibilities, nurturing and protective environments for children, positive parenting strategies, and effective communication in parent/child relationships are some of the topics covered in this course. Chinese 2 enables the students to further develop the communicative skills of listening, speaking, reading and writing of Mandarin Chinese at a more advanced level. Students are immersed in Chinese culture as virtual exchange students in China. Virtual excursions from one Chinese city to another expand their vocabulary helping them learn to interact with others and use appropriate terms to communicate in various everyday situations. In Chinese III, students continue to expand their abilities in various aspects of Chinese Mandarin. Students continue to build their knowledge of vocabulary, sentence patterns, and grammar points in communicative contexts. They also enhance their Chinese Mandarin listening and speaking skills, such as pronunciation and intonation. Students learn more in-depth Chinese reading and writing strategies and skills. The Chinese III course greatly improves students’ reading abilities, and students are able to write in Chinese in various formats such as journal, letter, invitation, and essay. The course also enriches and fortifies the students’ knowledge and skills in writing simplified Chinese characters. In this course, students learn more essential knowledge of Chinese culture, including the origins, histories, anecdotes, and etiquettes for various cultural settings, events, and occasions. Students also learn to compare and contrast the Chinese culture with their own cultures in many different aspects. Students who complete Chinese III earn Honors credit. Bienvenue! Welcome! Come and join various native French speakers as they give students a lively introduction to the language and its rich culture. Join them in their everyday environment as they take students through different daily scenarios and give them the necessary skills to read, write, and speak French. In this course, students learn the basic French language. After one semester, students will be able to engage in conversation in French including greeting people, introducing themselves, and exchanging basic information with others. Students learn to count from one to 1,000 and make simple sentences in both spoken and written French. Students continue to develop their French skills in semester two. New words and phrases are introduced with pictures, audio clips, and examples. Students learn basic French grammar to help them build fluency and understand the structure of the French language. Students have many opportunities to practice what they learn through interactive practice activities in the form of games, written practice, and listening and speaking exercises. Students also explore the cultures of France, Canada, and other French-speaking regions by learning about geography, foods, celebrations, and traditions from each place. Bon Voyage! Enjoy the trip! Salut! Get set for some more adventure! In French II, students are immersed in the French language and culture. This course is full of engaging and interactive videos, dialogs, presentations, self-checks, and much more! The purpose of this course is to further develop the French communicative skills of listening, speaking, reading and writing. In French II, students will broaden their French vocabulary and knowledge of grammar. Students will also experience the beauty and expressiveness of a language that is shared by different people and cultures throughout the world. There is a reason “all roads lead to Rome.” Maybe it is because Romans built much of the ancient world’s highway system. Maybe it is also because the Roman culture and Latin language laid the foundation for much of Western culture. In this course, students find out for themselves as they take their first steps on a lifelong journey of discovery. Students improve their command of the English language by studying Latin. Students also gain a better understanding of today’s laws and culture by getting into the Roman mind. Latin I is the most comprehensive way to begin. The purpose of this course is to give students a foundation in Latin grammar and vocabulary. This course also acquaints students with Olympic gods and with the everyday life of the typical Roman. The course sets the students’ feet on a journey as big as their imagination, with a passport to some of the world’s most exciting places. A story of epic proportions. History-changing battles, great poets and statesmen, classic art and architecture, and a language that was heard throughout most of the known world. In Latin I, you read the opening credits of this epic movie. In Latin II, the plots and the characters that populated ancient Rome will come alive. In this course, you’ll build on your knowledge of Latin grammar and vocabulary. In the process, you’ll sense the beauty of the language and the passion of those who spoke it. Roman engineering, art, commerce and system of laws were all supported by a clear, expressive and flexible language - a language in which you will be able to communicate. This course will give you a solid grounding in the structure of the language. It will also give you a clear lens for looking into the heart and majesty of the Roman spirit. In Latin III, students take their knowledge and appreciation of Latin to the next level. Students read some of the best Latin prose and poetry ever written or spoken. Caesar tells how he conquered the three parts of Gaul. Cicero reminds Romans of the virtues that made their country great. Catullus shows how he could express the deepest human emotions in just a few, well-chosen words. In Latin III, students visit the library of great authors. The library card gives them access to the timeless words of the greatest Roman poets, storytellers, and orators. Students’ skills with the Latin language give them direct access to the beauty and power of these great authors’ thoughts. The purpose of this course is to strengthen students’ Latin vocabulary as well as their appreciation for well-crafted writing. Students go directly to the source and recognize why Latin and those who spoke it are still relevant today. ¡Bienvenidos! Welcome! Students are taking a virtual trip to Spain, Cuba, Colombia, and Argentina. As students explore each country, a student blogger is there to help them learn about the place and its unique characteristics. As students travel to each country, they learn how to speak Spanish in many practical and useful ways. Students learn how to greet people, introduce themselves, and speak about their home, family, school, and community. As students learn basic vocabulary and grammar skills, they expand on their knowledge and learn to speak about more complex topics such as shopping, weather, sports, entertainment, and leisure activities. The course introduces new words and phrases with pictures, audio clips, and examples. Students learn basic Spanish grammar to help them build fluency and understand the structure of the Spanish language. There are many opportunities to practice through interactive activities in the form of games, written practice, and listening and speaking exercises. Students also explore the cultures of Spain, Cuba, Colombia, and Argentina by learning about geography, foods, celebrations, and traditions from each place. Student bloggers guide students through these countries and help them appreciate and learn about their diversity. In Spanish II, students travel virtually through Central America and the Caribbean, spending time in museums, traffic jams, and even the hospital. In this course, students broaden their Spanish vocabulary and their knowledge of grammar. They meet people from many different countries and cultures. While waiting for the plane ride home, students also meet some Spanish-speaking people from different parts of the United States. The purpose of this course is to strengthen Spanish listening, speaking, reading, and writing skills. Students also experience the beauty and expressiveness of a language that is shared by different people and cultures throughout the world. The main objective of the Spanish IV course is to develop students’ interpersonal communication skills in Spanish. The fundamental objective is for the students to achieve a high level of ability in listening, speaking, reading and writing. In this course students develop a strong command of the Spanish language, with proficiency in integrating language skills and synthesizing written and aural materials, the formal writing process, extensive interpersonal and presentational speaking and writing practice, and aural comprehension skills through quality, authentic, and level-appropriate audio and video recordings. This objective is achieved through highly engaging course content and interactive simulations, which give students ample opportunities throughout the course to integrate reading, writing, and speaking. Students are exposed to literature, historical and current events of Spanish-speaking countries through authentic newspapers and magazines, music, movie, radio and television productions, literary texts, and virtual visits online. Students will also use Spanish to access information and to compare and contrast cultural elements of Spanish-speaking countries with their own. Bienvenidos! Welcome! The purpose of this course is to enable students whose heritage language is Spanish to develop, maintain, and enhance proficiency in their home language by reinforcing and acquiring skills in listening, speaking, reading, and writing, including the fundamentals of Spanish grammar. Course content reflects the cultural values of Spanish language and societies. The course enables students to gain a better understanding of the nature of their heritage language. Students also increase their awareness and appreciation of Hispanic cultures. Spanish is used exclusively in the course. Will we ever find a cure for cancer? What treatments are best for conditions like diabetes and asthma? How are illnesses like meningitis, tuberculosis, and the measles identified and diagnosed? Health sciences provide the answers to questions such as these. In this course, students will be introduced to the various disciplines within the health sciences, including toxicology, clinical medicine, and biotechnology. They will explore the importance of diagnostics and research in the identification and treatment of diseases. The course presents information and terminology for the health sciences and examines the contributions of different health science areas. Health Science II is designed to further the student's understanding of the health care workplace, including patient and caregiver interactions and how various members of the health care team work together to create an ethical. functional and compassionate environment for patients. Have you ever wondered how photographers take such great pictures? Have you tried to take photographs and wondered why they didn’t seem to capture that moment that you saw with your eyes? The Digital Photography I course focuses on the basics of photography, including building an understanding of aperture, shutter speed, lighting, and composition. Students will be introduced to the history of photography and basic camera functions. Students will use the basic techniques of composition and camera functions to build a portfolio of images, capturing people, landscapes, close-up, and action photographs. In today’s world, photographs are all around us, including in advertisements, on websites, and hung on our walls as art. Many of the images that we see have been created by professional photographers. In this course, we will examine various aspects of professional photography, including the ethics of the profession, and examine some of the areas that professional photographers may choose to specialize in, such as wedding photography and product photography. We will also learn more about some of the most respected professional photographers in history and we will learn how to critique photographs in order to better understand what creates an eye catching photograph. Journalism I provides students with the fundamental basics of journalism. Students begin by exploring the history of American journalism, examining different media such as print, radio, television, and internet journalism. Students learn how to write a news story, a feature story, and an editorial, with a focus on research, analyzing the reliability of sources, conducting interviews, writing leads, revising, and self-editing. Students will also take a close look at different careers in journalism, ethics in journalism, and visual layouts using technology, including web 2.0 tools. Critical Thinking and Study Skills teaches students how to get better grades and higher test scores, and increase their success in high school. Students who already perform well in school will learn new study skills and testing skills that will help them get even better. Students who struggle in school will learn about Success Mindsets, study skills, and testing skills to help them perform at new levels. This course teaches the ACE test-taking method to increase scores on key tests such as the ACT, SAT, and tests for graduation. In this course, students will acquire new power to succeed in high school, college, and life. Students will learn how to take action by pressing their Turbo Button, manage their time by staying in the Lasting Zone, chart their goals by creating a North Star, and many other proven leadership techniques developed by Mawi Learning, a leadership training organization that has worked with more than one million students. Whether students are struggling or already at the top of their game, Leadership Skills Development will give them new power to create the life of their dreams. How will reading affect a student’s future? How does reading shape the world around us? This course helps students answer these questions and prepare for college and career success. Reading is a vital skill in the information age, when we are bombarded with a constant stream of information. Being able to determine and comprehend the main ideas in this constant flow is imperative to success both in the academic world and in the world of work. Learning to discern fact from opinion and bias from objectivity will empower students to make better life and work decisions, while effective note taking and summarizing skills help students achieve their goals in higher education and in the career of their choosing. In this course, students will "coach" their "team" of thinking skills to meet academic challenges. Through reading, writing, and math activities, students develop critical thinking skills and test-taking strategies. Students also gain reading, writing, organization, and study strategies--a powerful one-two punch for any student at any level!